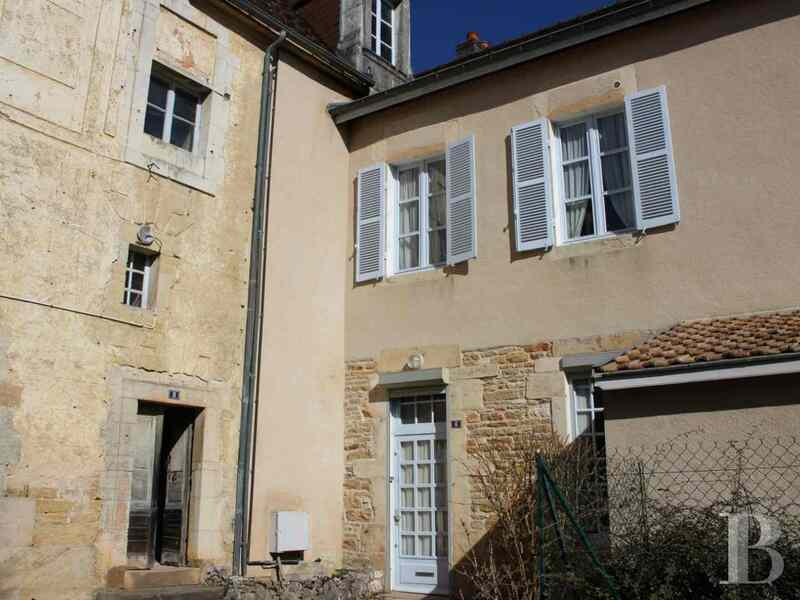 The wing of an old chateau, awaiting renovation, along Côte-d'Or’s Route-des-Grands-Crus - property for sale France - in Sologne, Touraine, Loire valley, Burgundy, Auvergne. - Patrice Besse Castles and Mansions of France is a Paris based real-estate agency specialised in the sale of Residences. The old chateau stands in a village along the Route-des-Grands-Crus (road of the great wines) in the French department of Côte-d'Or, 300 km from Paris, just a 2-hour journey via TGV train, 2⅔ hours from Geneva and but a few minutes from Dijon. In a little no-through road, it is just a few metres from the middle of the village and the plots of land classified as World Heritage sites by Unesco. The market town, with more than 1,000 inhabitants, has a bakery, a small grocery in a newsagents as well as local amenities. 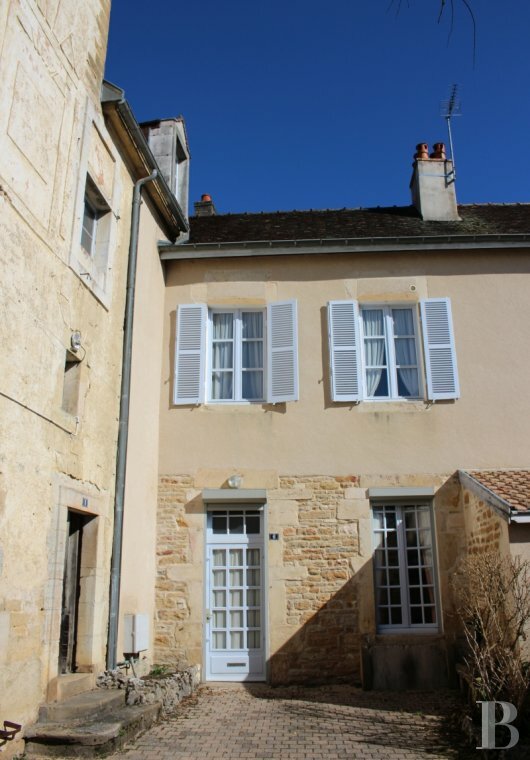 This residence is in the left-hand wing of the old chateau, looking out the back over a garden-courtyard with outbuildings comprising a barn and a small house with a bread oven. 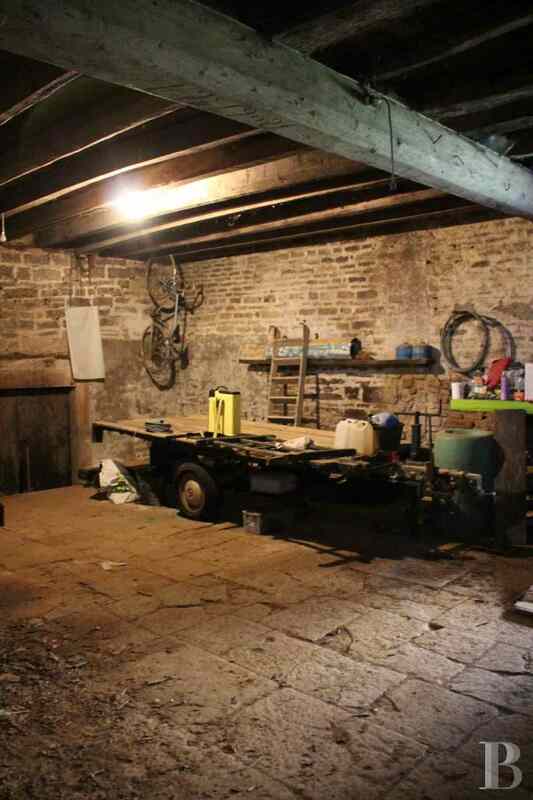 A central porch way provides access to the rear of the property which has an outbuilding in use as a garage, constructed over a vaulted cellar. This property spans a total surface area of 1,762 m². Construction of the chateau probably dates from the 13th century. 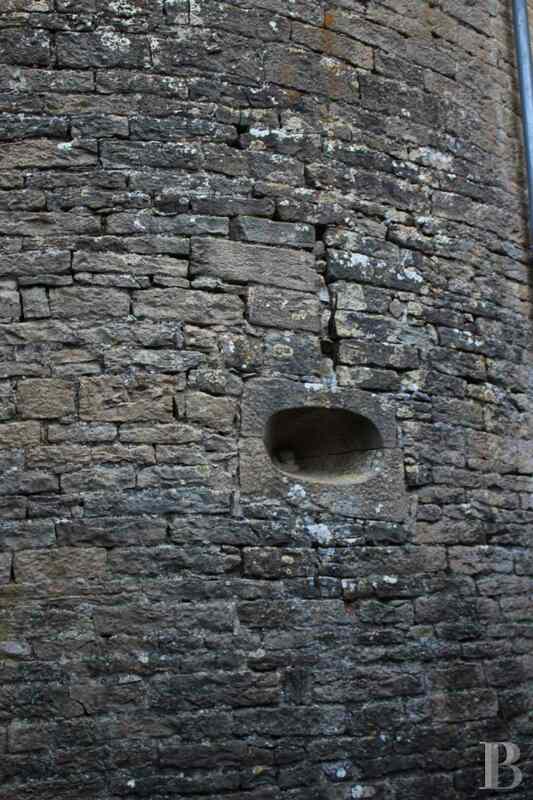 It underwent modifications in the 15th, 16th and even the 17th century. Vestiges are still visible despite the interior modifications carried out in the 19th and 20th centuries which divided the stately residence into several homes. Only one section is currently looking for new owners. A central entrance porch way separates the main building into two sections. The left-hand side and a portion of the wing set at right angles are currently for sale. 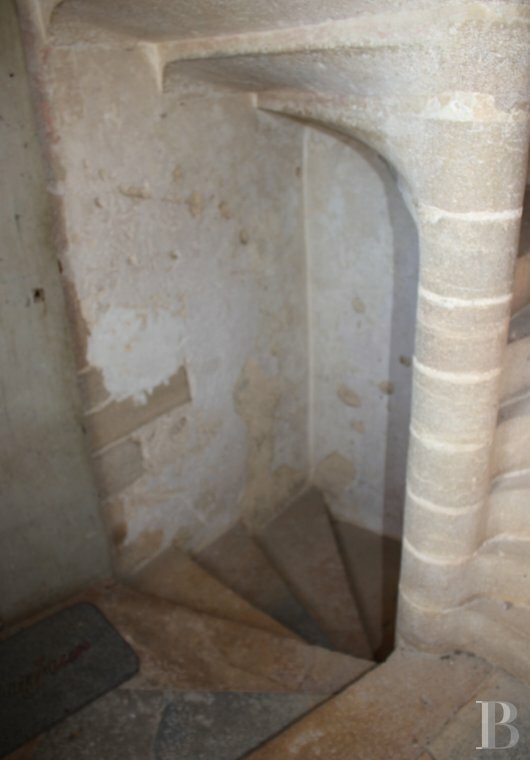 Next to the porch way, a stairway built into the carcass provides access to the upper floors of the left-hand section without belonging to the residence, which is entered via the wing. 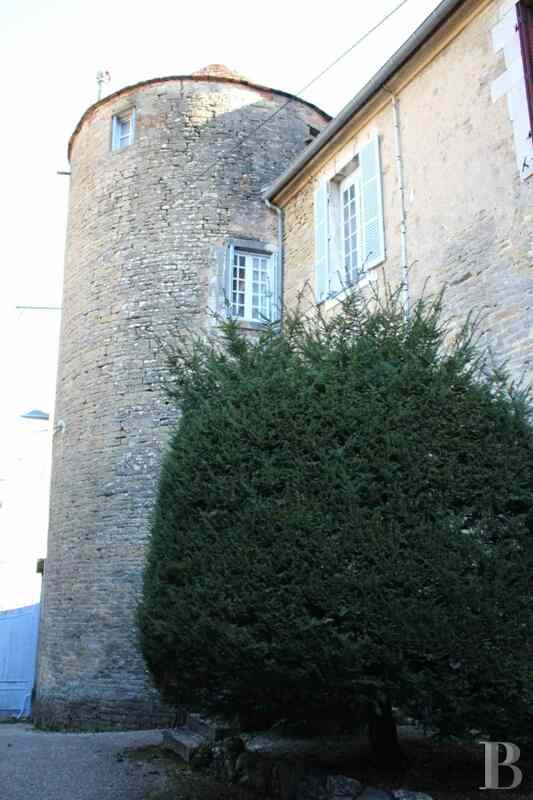 A round tower with gun-loops, on a corner of the rear facade, could date from the 15th century. The front facade has been renovated and rendered, whilst the walls of the other facades provide glimpses of their construction materials: quarry stone blocks and dressed stone. 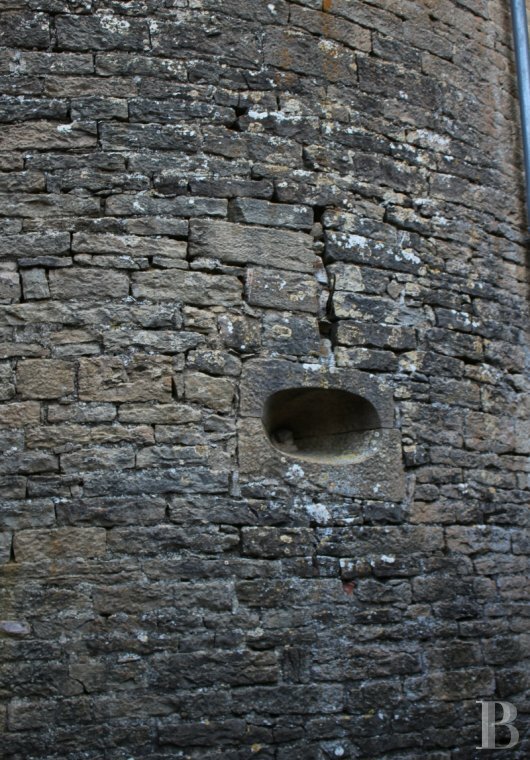 The openings appear to have been reduced in height. The building is covered with local flat roof tiles. 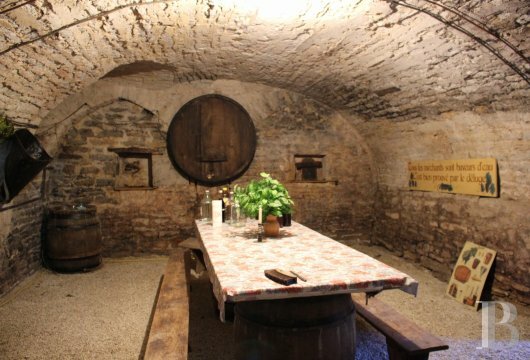 One of the two superb old vaulted cellars is under the kitchen, the access to which from the latter could be re-opened. 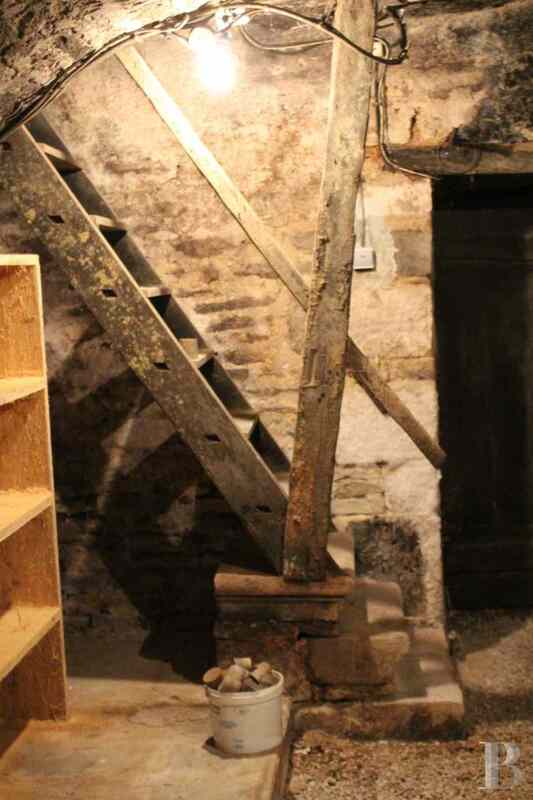 The second cellar is reached from the outside of the buildings. 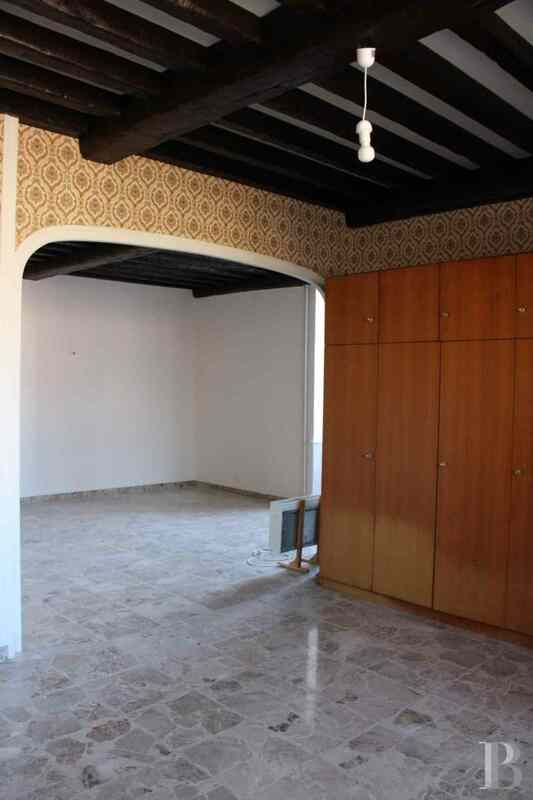 The main door opens into the kitchen, which dates from the 1970’s and features very small floor tiles. 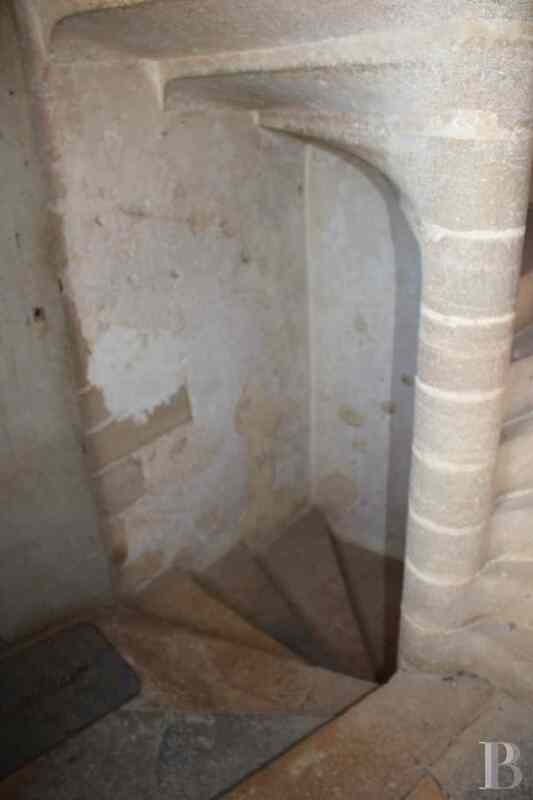 An alcove provides access to a stairway which goes up to the first floor. 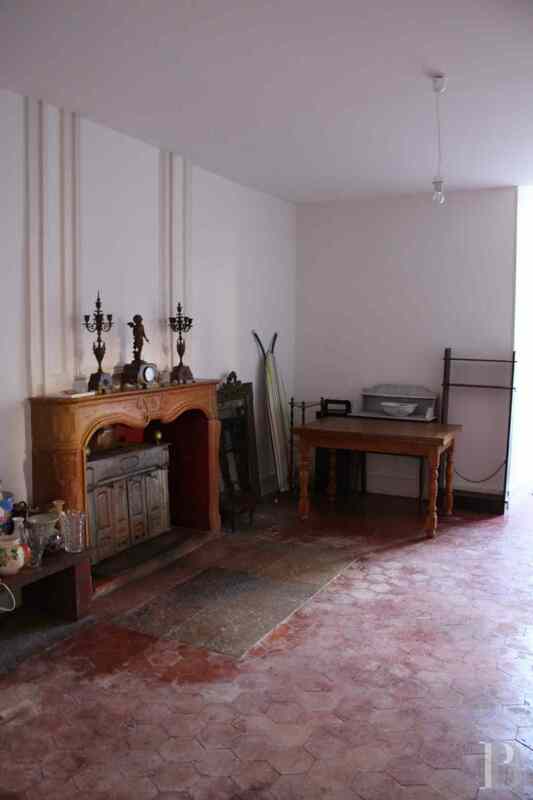 A doorway in the kitchen leads to the dining room with its terracotta floor tiles and old fireplace. 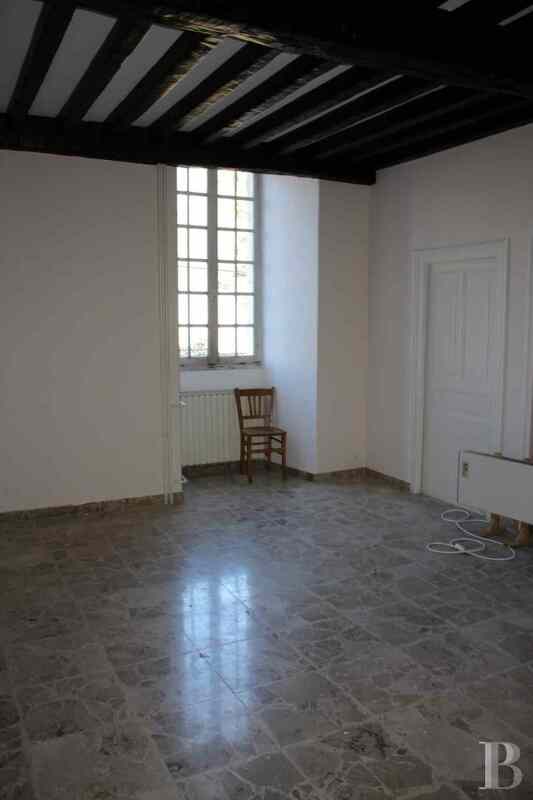 This room is in the old section of the residence. 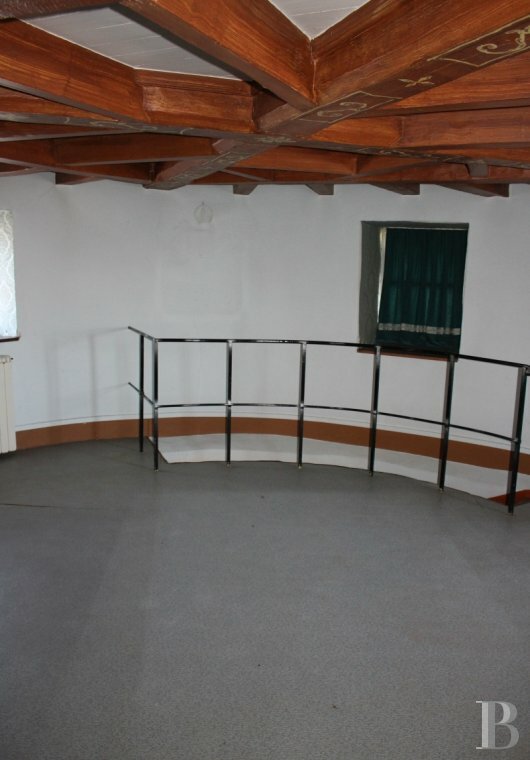 It is followed by a bedroom, preceding another bedroom in the round tower with a bathroom and toilet. 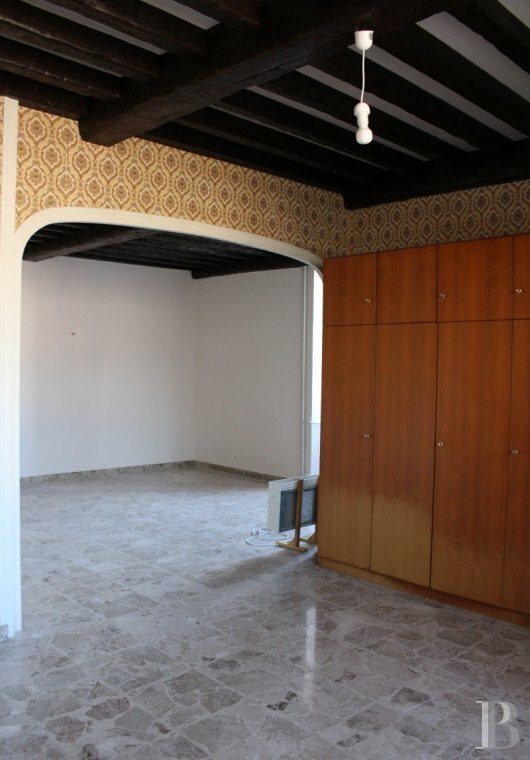 Wallpaper bears witness to the fact that both bedrooms have been renovated. This level has been renovated from top to bottom. A large room or former dining room has notably been given a suspended ceiling with imitation beams. The floor is covered with more or less recent tiles. 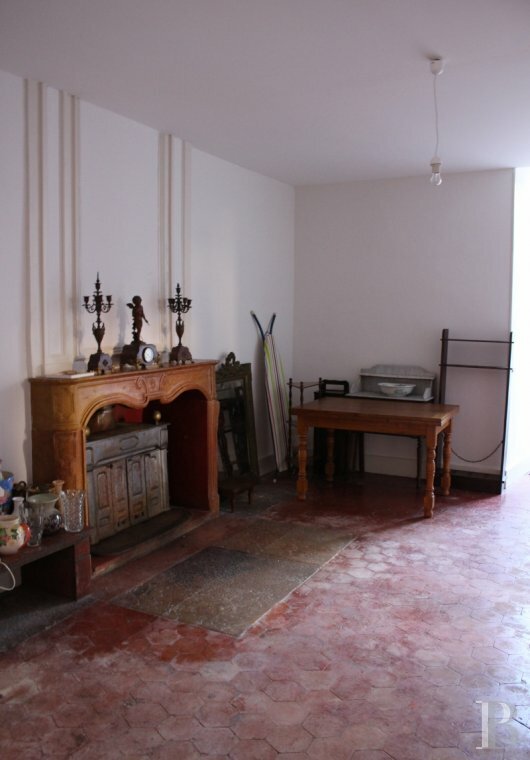 A large bedroom has recent parquet flooring as well as a 19th century fireplace. The rooms are spacious and airy. 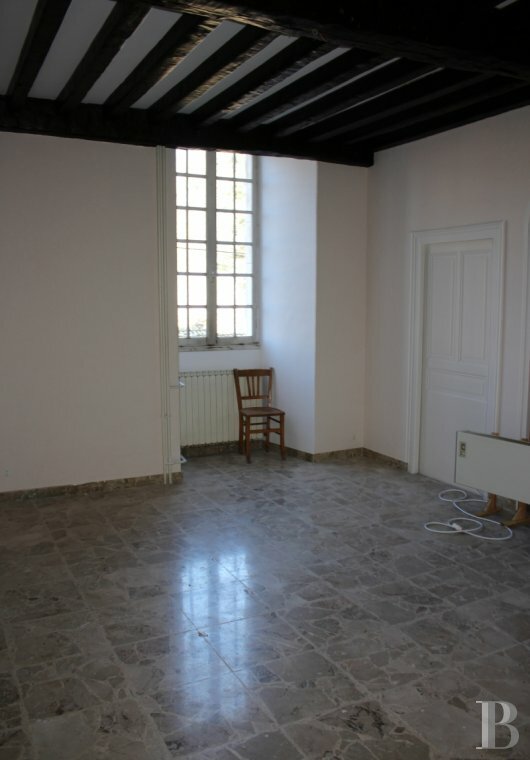 The large room provides access to the round tower, opening into a fourth bedroom. 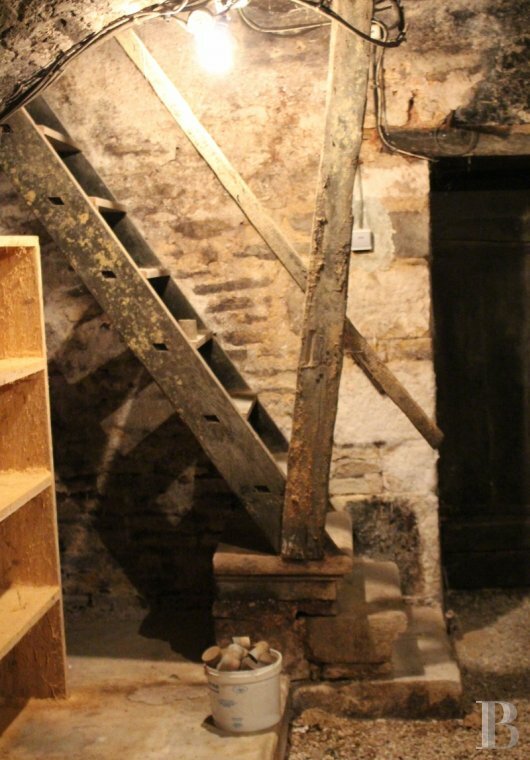 A door leads to the stairway built into the carcass which provides access to the last bedroom, on the top floor of the round tower. 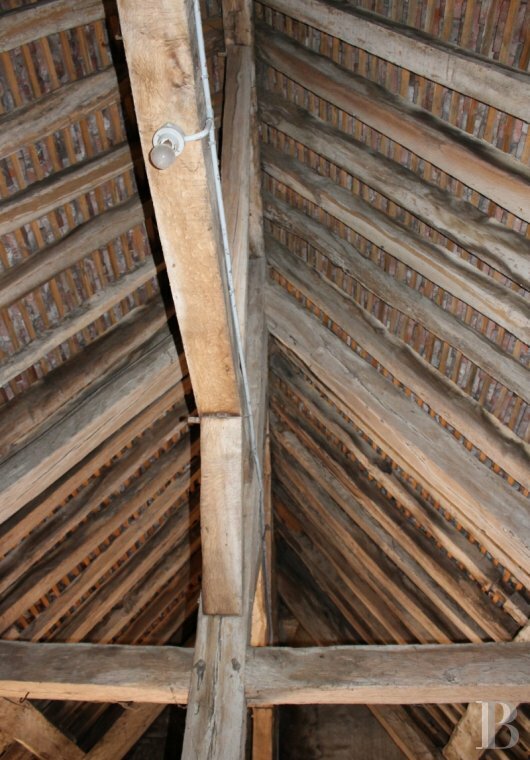 The roofing framework is exposed. The previous owners painted this room. The attic space is illuminated via skylights. The roofing framework is in a good state of repair. The window frames need to be replaced. 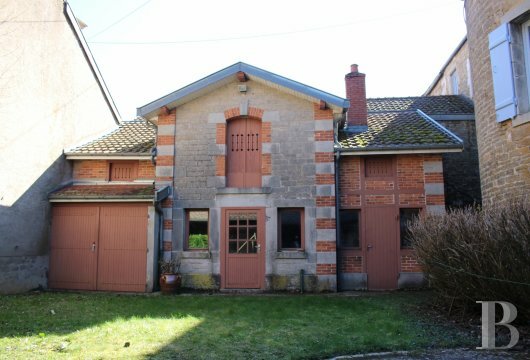 A building in use as a garage is to be found to the rear of the chateau. A gate, then, opens into a grassy courtyard, on one side of which is a lean-to covered with flat roof tiles, in use as a shed for the garden or terrace. 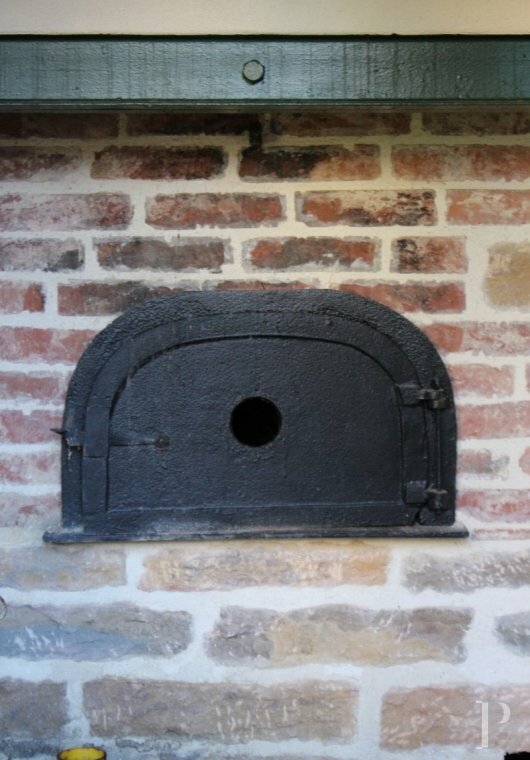 Opposite this outbuilding, a small building, constructed from red bricks and quarry stone blocks, comprises a summer kitchen, an old hayloft above, a relatively large storage area and an old bread oven. 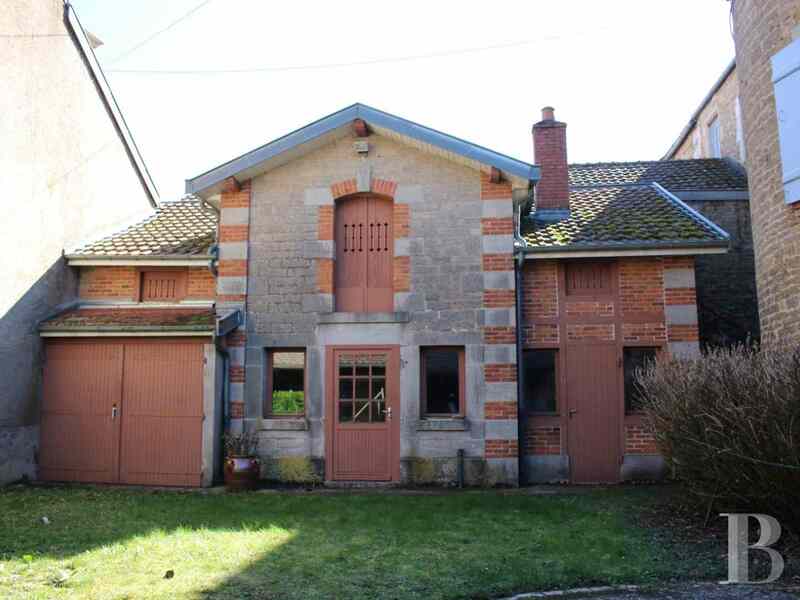 This garage was added in the 19th century. 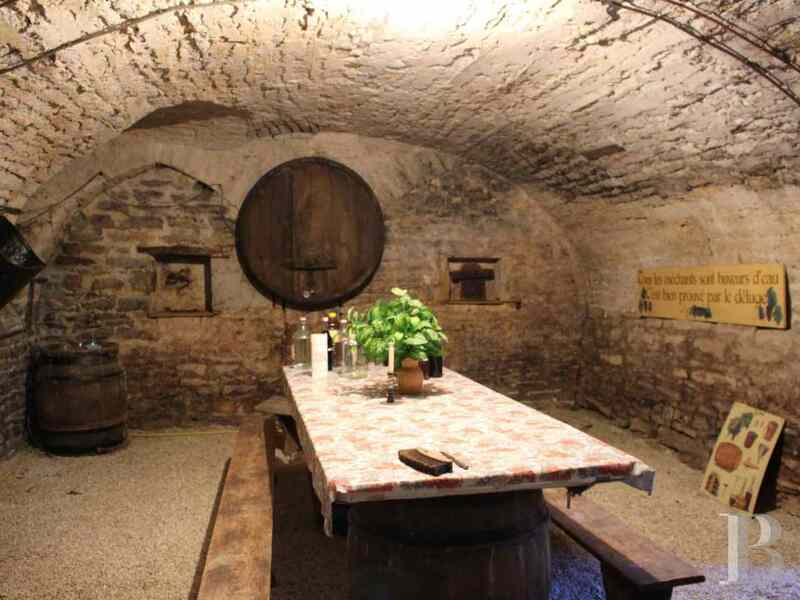 Built over a cellar, it is constructed from exposed quarry stone blocks and topped with flat roof tiles. This outbuilding spans two levels. The lower level comprises a summer kitchen, a garage or a storage area and a bread oven in a good state of repair. 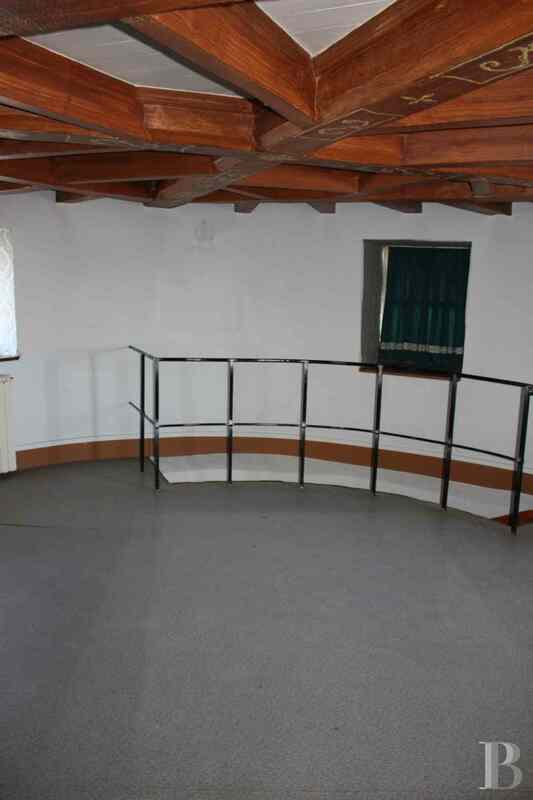 The upper level was, no doubt, used in olden days as a hayloft. 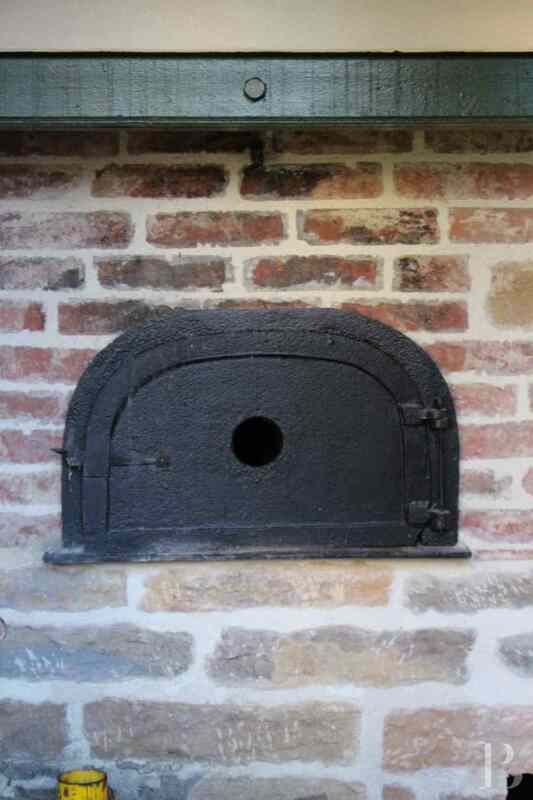 The bread oven forms an integral part of the brick and quarry stone block outbuilding. The barn is partially co-owned. The character of the old chateau is still to be seen in its round tower, its spiral stairway and its vast vaulted cellars. 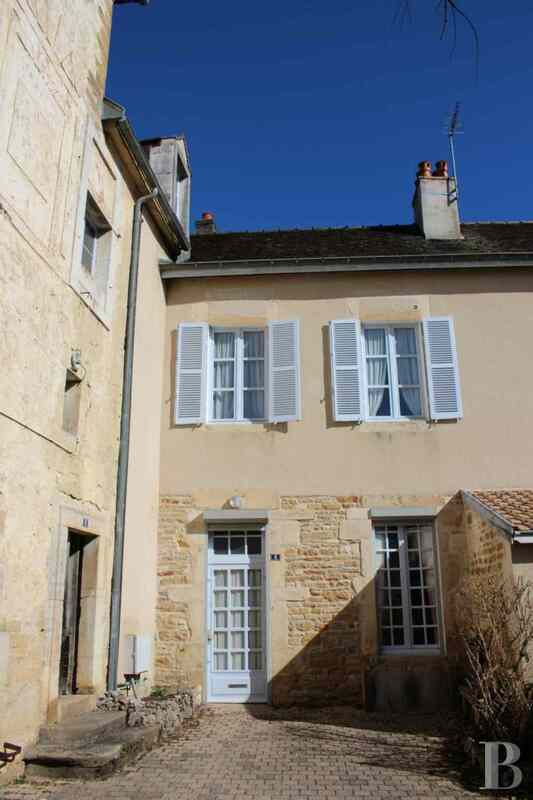 This residence is in need of works which new owners will be especially eager to carry out as it is always exciting to endorse architectural heritage when, like here, it is clearly worth it. 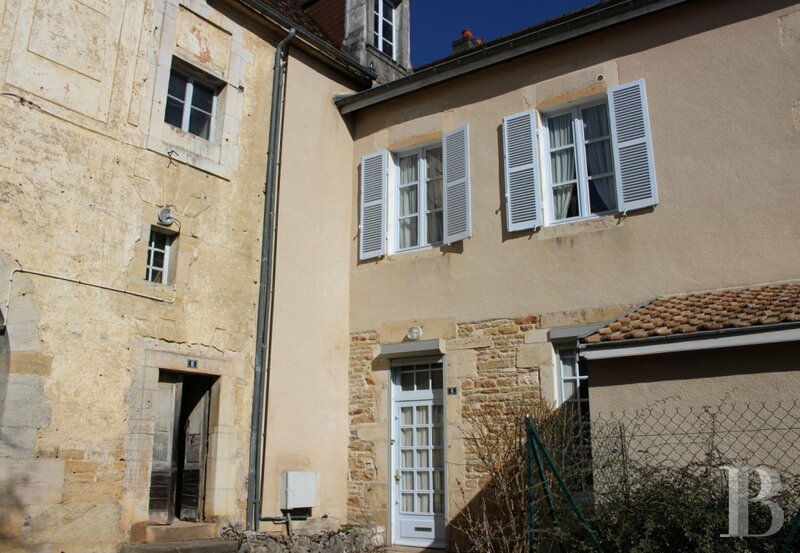 Burgundy abounds in this type of heritage, modest in size but steeped in history.